This post got lost in the drafts folder, so it's a few months late! 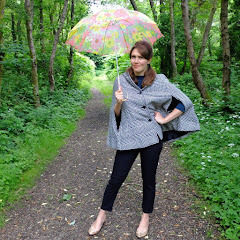 Back in April I flew to Dublin and spent the afternoon as the photographer of an international fashion blogger. It doesn't seem real as I type this, but it's true. I was lucky enough to have the opportunity to meet stylish Audrey of Frassy, visit the HQ of the brand she was working with, spend the afternoon as her fashion photographer, and then had the opportunity to have her take some photos of me too. Social media is a wonderful thing. 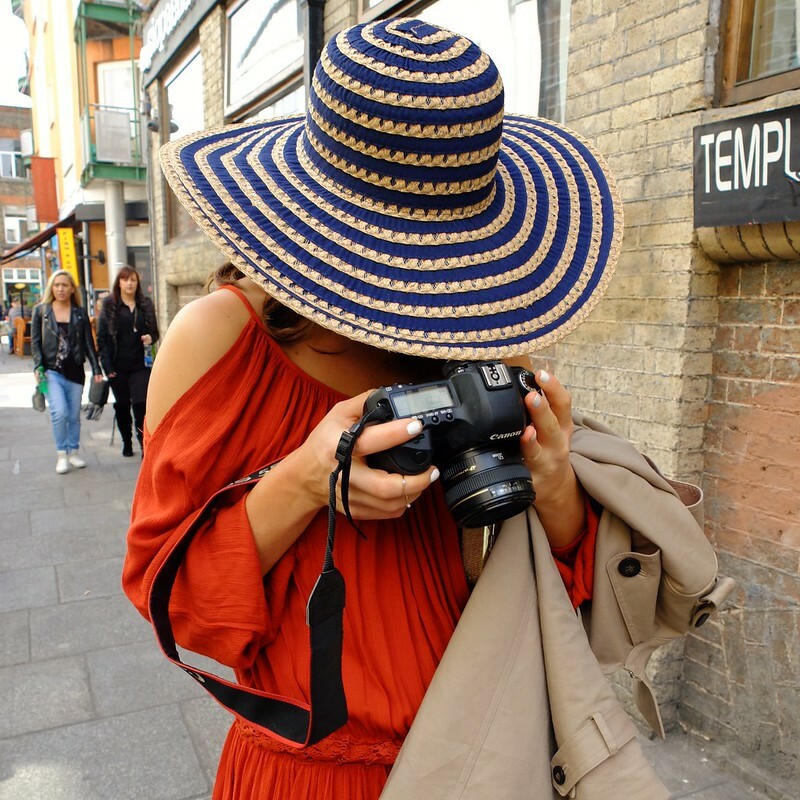 I was heading to Ireland for the weekend to see a friend, and it was just good timing that Audrey of the blog 'Frassy', was looking for a photographer for the afternoon. It was another one of those blind-date type moments that I seem to be having a lot with bloggers of late. 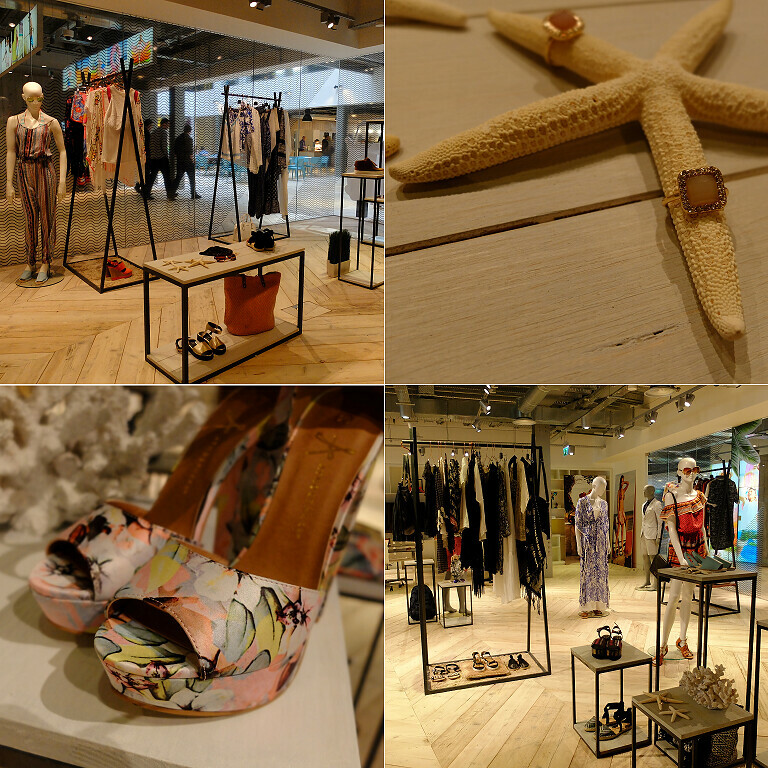 We met at the Primark offices, which have been rather swankily and newly refurbished. It was fun to get a peek of mood boards and creative ideas for upcoming seasons, before we headed down to the PR office so that Audrey could choose the looks for her shoot. The PR office was a bit like a small version of a shop really, and it was quite fun browsing the rails and seeing Audrey put together all of the outfits she wanted to showcase. 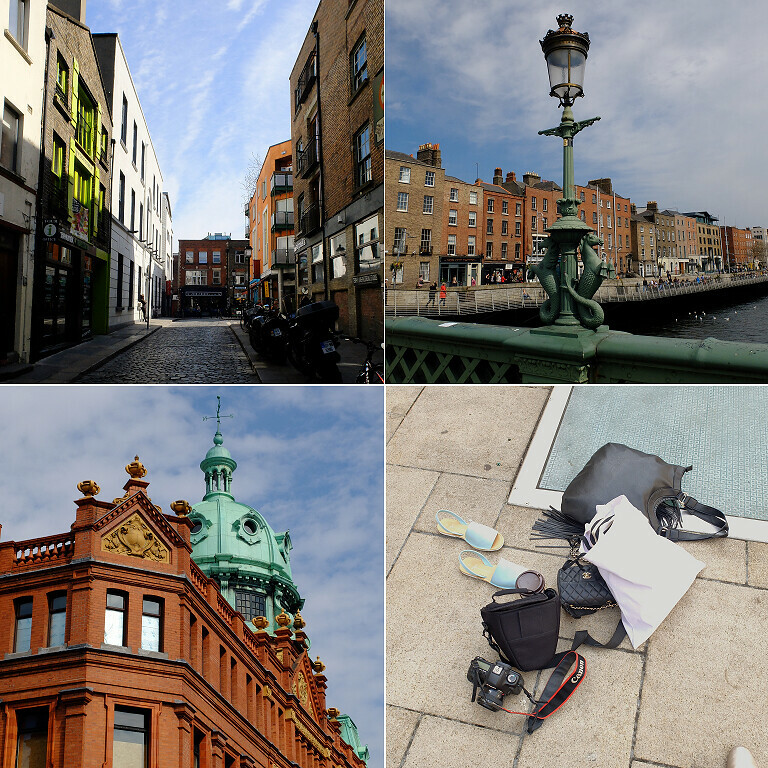 With bags stuffed full of clothes, shoes and camera equipment, we headed out on to the streets of Dublin to find some suitable locations. I was quite taken with that hat. It was such fun finding locations. We'd find a spot, throw all of our bags on the floor, and then have a little photoshoot. 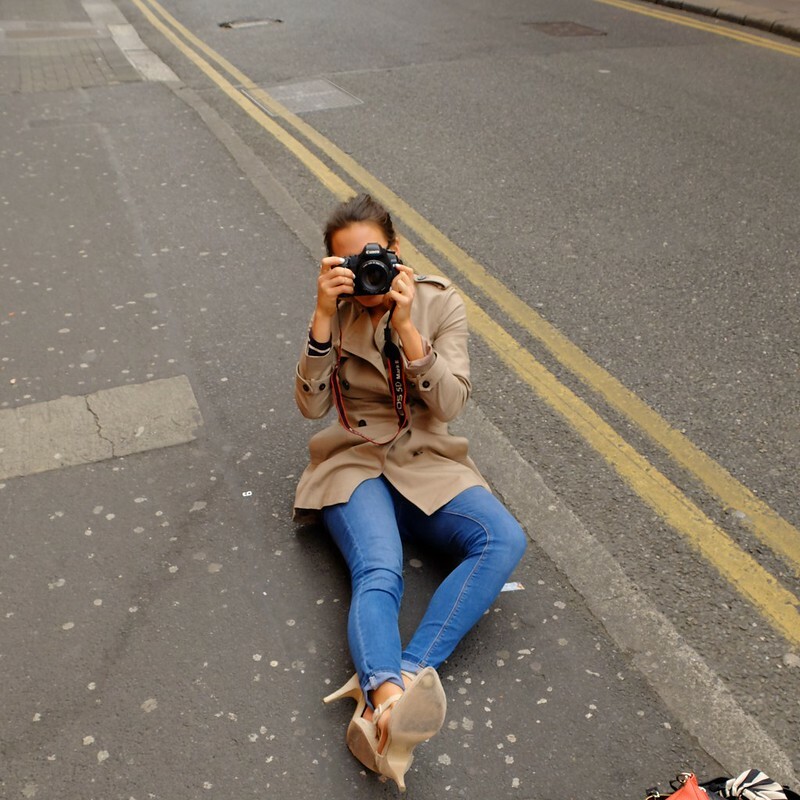 I have to stress that Audrey is a wonderfully talented photographer, and she did the test shots and set up her very impressive camera, so all I really did was crouch on the pavement and press the button. But oh was it fun! I honestly think I prefer being behind the camera to being in front of it. Is it too late to train as a fashion photographer?! 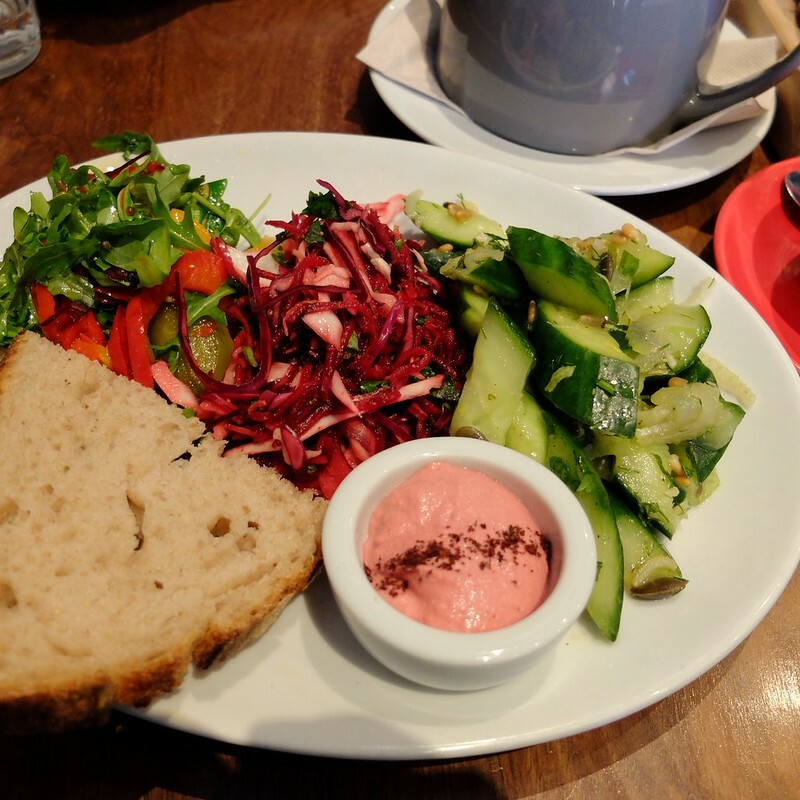 We stopped for a late lunch in Brother Hubbard, which served the most wonderful fresh and tasty food. Both Audrey and I opted for the three-salad plate, which did the job in restoring nutrients. I always find that inspiration comes from the shift in looking at things that experiencing different places and meeting new people brings. After that afternoon, I felt inspired and reinvigorated, ready to plunge more energy and time and creativity into blogging. It's become such a passion of mine, and I have been ready to mourn its inevitable waning as I start my PhD and focus on 'real life' things like getting married. 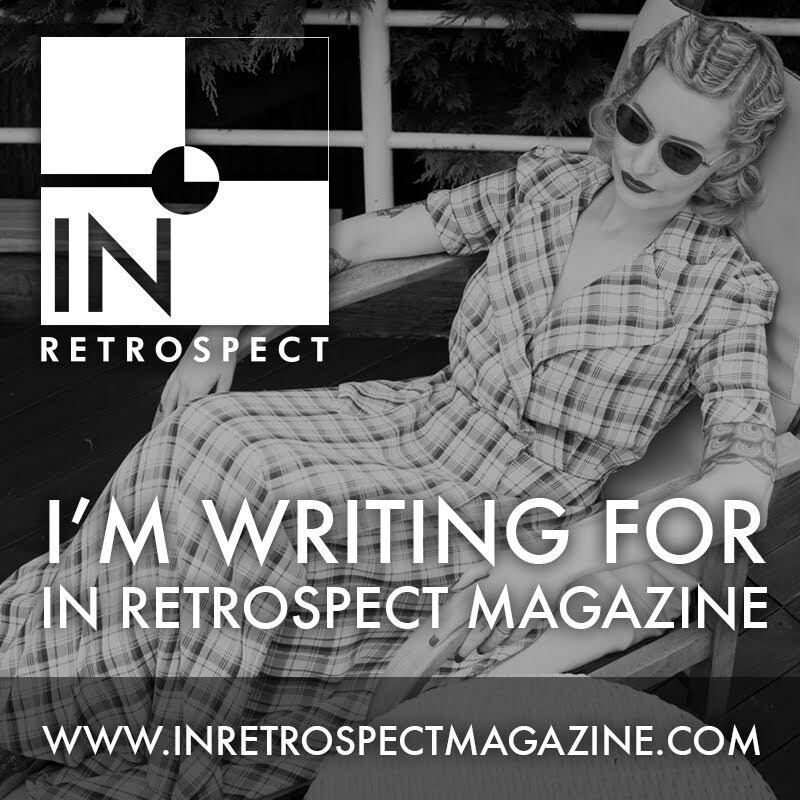 But I realise now I'm not ready to stop blogging or press pause on it. It's an outlet, it's a hobby, and if people can do a PhD and do their kayaking on weekends or whatever it is they do, then I don't see why I can't keep on blogging. I want to improve, to become a better photographer, model and stylist and to continue to have fun with it. Sometimes moments are fleeting, particularly when you travel; you might never meet that person again. But they leave some impression with you, perhaps renewal of faith in people, a sense of connectedness, or a spark of inspiration. I had a lot of fun that day with Audrey - thank you lovely lady for that experience! 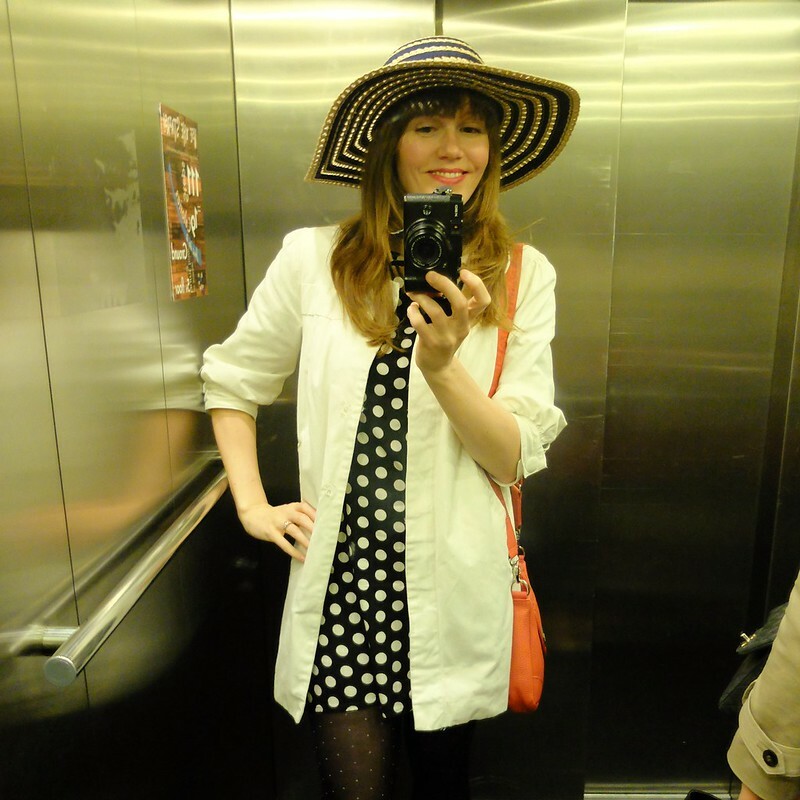 You can see the photos I took on Audrey's blog in her posts 'Combination' and 'Barcelona'. We shot four looks in total, and those two are the ones that have made it on to her blog. If you haven't already seen her blog, it comes with a warning about how envious her gorgeous photography and self may make you, as well as how inevitably you will be travel-yearning on seeing the locations of Rome, Barcelona, Paris and beyond. Have you had amazing opportunities through social media? Do you end up meeting people in unusual ways and unexpected places when you travel? What a fabulously cool opportunity! Social media hasn't lead me to travel yet, but blogging in general has resulted in some wonderful meetups with fellow virtual wordsmiths and I love that to no end. It's so great when we can hop from merely online to the offline world with some of the folks we meet on the former. While we are sharing the love, being at London Edge with both of you had a huge effect on me and my blog, I hope they do it again at the next one in September! Wow that a fantastic opportunity! 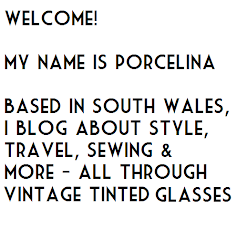 Well done on being brave, I wouldn't dare take pics for a big blogger I'd be rubbish haha! I am starting photography lessons soon though! Sarah I am BEYOND envious... Of all the bloggers I'd want to meet (from a starry-eyed point of view) it's Audrey - I can't believe that you not only met her but also photographed her!! The photos look fantastic. Well done you...! That looks like brilliant fun. If you seriously wanted to train, I recommend going with Aspire - Kate Hopewell-Smith, who runs some of their courses, is both lovely and seriously talented. If money were no object I'd recommend a Miss Aniela Fashion Shoot Experience, but those are ££££, and the Aspire courses teach you the business side of things as well as the photography skills. To be good at anything takes dedication - good bloggers make it look easy, but there's clearly so much work going on behind the scenes. It's a crowded field and takes both work and talent to stand out.